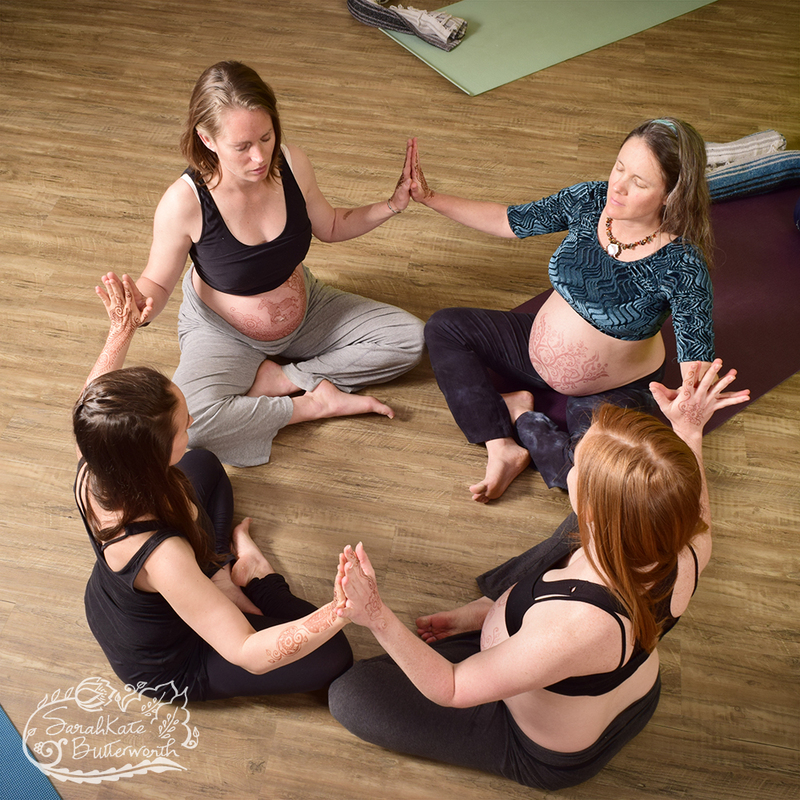 A drop in yoga class for mamas to ground and connect to baby and meet other pregnant women on this journey. This fluid, instinctual movement practice is designed to deepen trust in your capacities for birth and motherhood. This class will ease tensions common in pregnancy, and strengthen your body, mind, heart, and sense of support for this amazing time in your life. 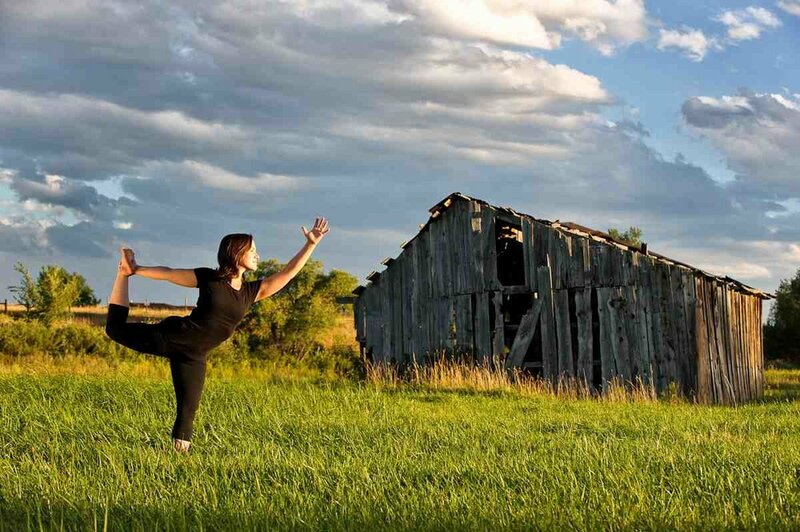 You will be guided through breath-work and centering, asanas, sounding, and relaxation. Be prepared to share authentically from your heart in a one of a kind community of women. Open to all levels and stages of pregnancy. $16 drop in or sliding scale pricing. Childcare $7/free for members. Come meet you new mama tribe! A playful postpartum drop-in yoga class for mama and baby together. Focused on building community with other mamas, toning your body post baby, and enjoying poses and infant massage with your new little one. This class will help you regain strength and energy, assisting your body in the transition after birth. 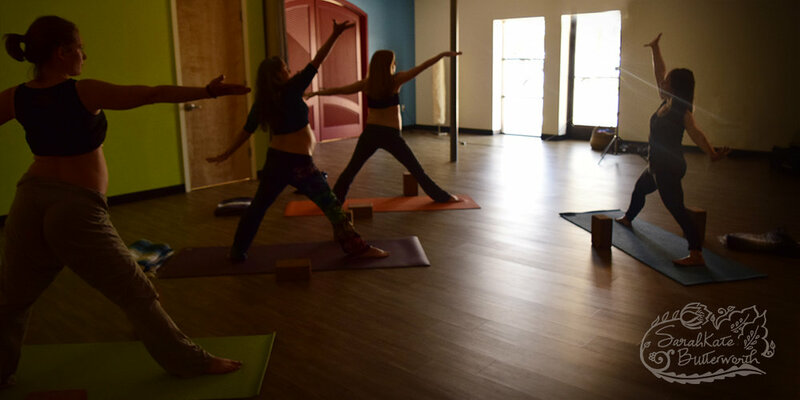 Focus is on yoga postures that encourage your body to come back together, rebuilding abdominal, back and pelvic floor strength, releasing tension in the shoulders and neck, and opening the chest. (Pre-walkers please! ) Please check with your doctor or midwife before beginning physical activity after birth. This three-hour all women's retreat is appropriate for women in any trimester of pregnancy, new mothers, working mothers, stay-at-home mamas, breastfeeding or bottle-feeding mothers, and all women in need of five minutes peace. Are you ready to step away from the hustle and bustle of everyday life? From the loving, yet at times exhausting, demands of family? Do you crave more connection with your ever-changing body? Do you want to do this without spending a week traveling to an exotic locale? Expect movement, meditation, mini-massage, journalling practice, community, and to leave feeling refreshed and rejuvenated. Through massage and yoga, I work with clients to create the unique healthy body balance that is right for your life. My specialty is in maternity massage and supporting families through pregnancy and early parenthood. Whether working with men, women, or children, I regularly accept new clients and work with a clientele of strong athletes, people with chronic pain conditions, and those looking for simple relaxation. Please feel welcome to be in touch via email or phone with questions or to schedule an appointment. In the email, please include your name, any immediate questions you may have, and phone number if you wish to receive a call back. Expect to be contacted in 24 business hours.